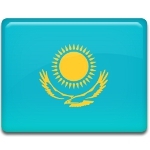 Constitution Day is one of the public holidays in Kazakhstan. It was established to commemorate the adoption of the Constitution of the Republic of Kazakhstan on August 30, 1995. Kazakhstan declared independence from the Soviet Union on December 16, 1991, becoming the last Soviet republic to do so. During the first years of independence, the old Constitution of the Kazakh Soviet Socialist Republic remained in force. It was modeled after the 1977 Soviet Constitution. The first constitution of independent Kazakhstan was adopted in 1993. It caused much debate on the authority of the legislative and executive branches of the government. The debate over the constitution did not contribute to the maintenance of political stability, so a new constitution was drafted. On August 30, 1995, the Kazakhstani constitutional referendum was held. The new constitution of the Republic of Kazakhstan was approved by 90% of voters. Constitution Day is widely celebrated throughout Kazakhstan. The festivities include official ceremonies, exhibitions, open-air concerts, outdoor fairs and festivals, sporting competitions, firework displays. The biggest celebrations are held in the capital city of Astana and in Almaty, the largest city of Kazakhstan and former capital.